Hamburg - It has been a sobering summer for FC Bayern München superstar Franck Ribery. of participating in the 2014 FIFA World Cup by injury, he then watched seven of his clubmates lift football’s famous in Rio de Janeiro on 13 July. Now the Frenchman is preparing for a new Bundesliga campaign, and after a stunning goal in a 6-5 penalty shoot-out win over Borussia Mönchengladbach in the Telekom Cup in Hamburg, the 2013 European Footballer of the Year appears to be making progress as he looks to return to top form. Question: Franck Ribery, is the disappointment of missing out on the 2014 FIFA World Cup now beginning to subside? Franck Ribery: It was obviously a massive disappointment for me. Injuries are something you can’t avoid, but to get one just before a World Cup was really tough to take, especially as I was in great form and had been looking forward to Brazil for months. It’s all fine now, though. I don’t want to think about it any more; I’m looking forward and excited about the new season. Question: How much is the back injury still affecting you? Ribery: I’m not quite back to 100 per cent, but that’s understandable. That’s what pre-season is for, to get back to full fitness. Thankfully I don’t feel any pain anymore and I’m just happy to be able to give it my all in training. That’s really important for me. Question: How far away are you from being back to your best? Ribery: I’ve lost my rhythm since getting the injury. My game is based on speed and explosiveness, and that’s what I need to get back to. Question: You and new signing Robert Lewandowski both scored excellent goals against Gladbach. What’s your opinion of the new arrival from Borussia Dortmund? Ribery: Robert’s an outstanding player and his understanding with the rest of the team is getting better every day. He’s a good addition for us. He’s settled in quickly and we’re having a lot of fun together. Question: Bayern have brought a lot of young players with them to the Telekom Cup, such as Lucas Scholl and Gianluca Gaudino. Do you enjoy being one of the older members of the squad? Ribery:(Laughs) I’m ten or eleven years older than these guys, and that does feel strange. But they’re all good lads and I’m happy to help them as much as I can. I’m sure they can profit from my experience. Question: How important is it for Bayern to finish the competition on a high? Ribery: Half the team is still on their summer break, but it’s a good chance for the younger guys to get match practice and to prove themselves against Bundesliga opposition. And as a footballer, I personally want to win every game, regardless of whether it’s a friendly or a competitive match. Question: You’re sporting a thick beard these days. Is that a fashion statement or do you plan to keep it until the injury is finally healed? 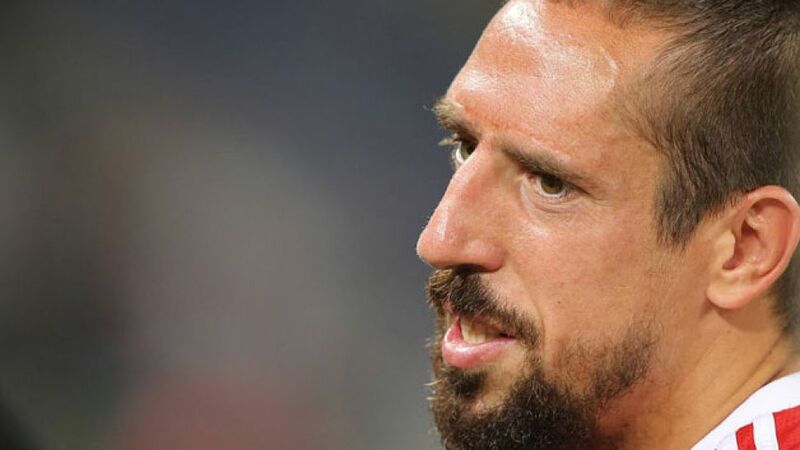 Ribery (laughs): No, I do want to shave, but my wife loves the beard! We’ll see how long I keep it.